Are you a seafood lover? Let's say maybe a taste for a pound of shrimp? 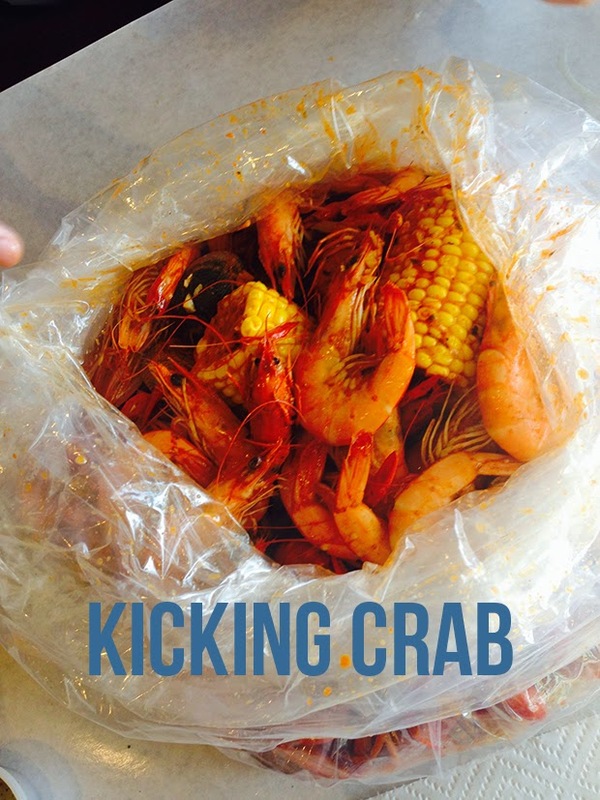 If you live by the bay area, Kickin' Crab is the best place (by far) to go to satisfy your craving for shrimp. From the way it is served down to the taste. If I was a food critique, I would most definitely give it 5 stars or even 6. I have only been to Kickin' crab three times and I have nothing but wonderful experience from the food down to the restaurant's overall service. Based from my own experience, the restaurant is always busy. There's always a long line, which gives you the impression that the food is worth someone's time and of course, hunger! Basically, as soon as your name was called, you jump up and down because you waited that long! Kiddin! The host will take you then to you table that is set with a white paper that covers the entire table. 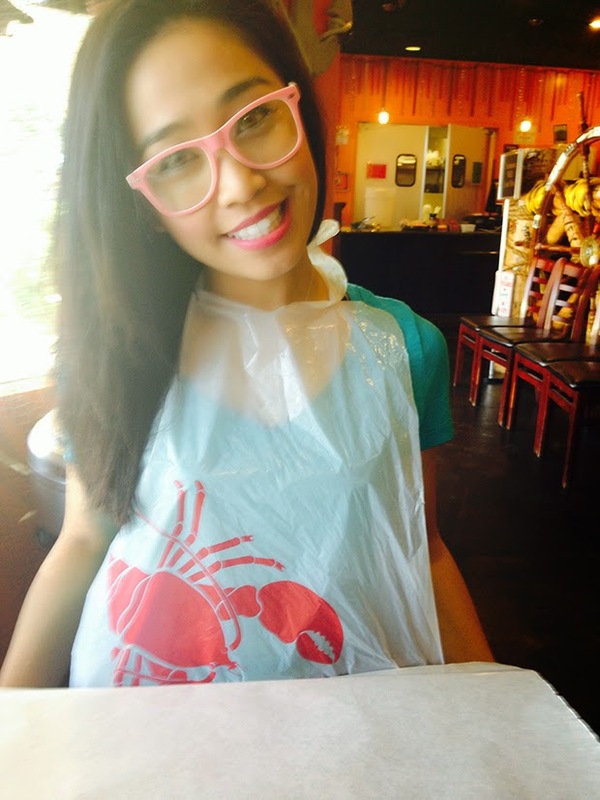 The server will hand out a little disposable bib that has a crab printed on it (ofcourse!) while serving lemons and garlic and salt for our little dip. The place is clean and has a very welcoming feeling to it. I like it that even its always pack, it doesn't look like its crowded. Even if its busy most especially around dinner time, the service is still a thumbs up. They have a variety of seafood to choose from but if you are going to Kickin crab, you might as well go for the shrimp! They serve it per pound and what's make it more exciting is that a pound of shrimp ranges from 11 to 13 dollars. Ideally, one pound of shrimp could serve two guest but for me I always get one pound of shrimp all to myself! It's just that good...and everyone that had eaten at Kickin Crab would agree to me. Additionally, There are combo meals to choose from which includes either corn, sausage or both! They also have garlic noodles or rice for side dish. What I love about the restaurant is that you can be in your most comfortable clothes; nothing really fancy outfit. It gives you the freedom to pig out and not worry about anything at all. I think this is my favorite part of going there, being able to use my hands to open each shrimp shell and not care if I end up being messy all over. Forget jeans! It'll be so difficult to breath in one if you're too full! 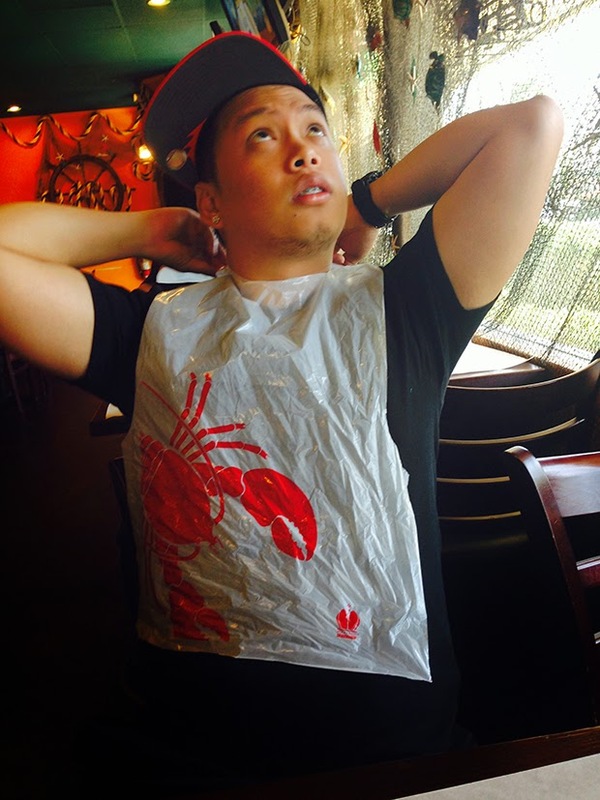 Whenever I go to Kickin crab I make sure my clothing could handle a pound of shrimp. Now, like any foodie blog, you might ask me, would I recommend this place? Heck yeah! Man, just thinking about it makes me hungry. So if you ever stopped by the Bay Area, check out The Kickin Crab! Make sure you bring someone whose willing to pig out as you do!